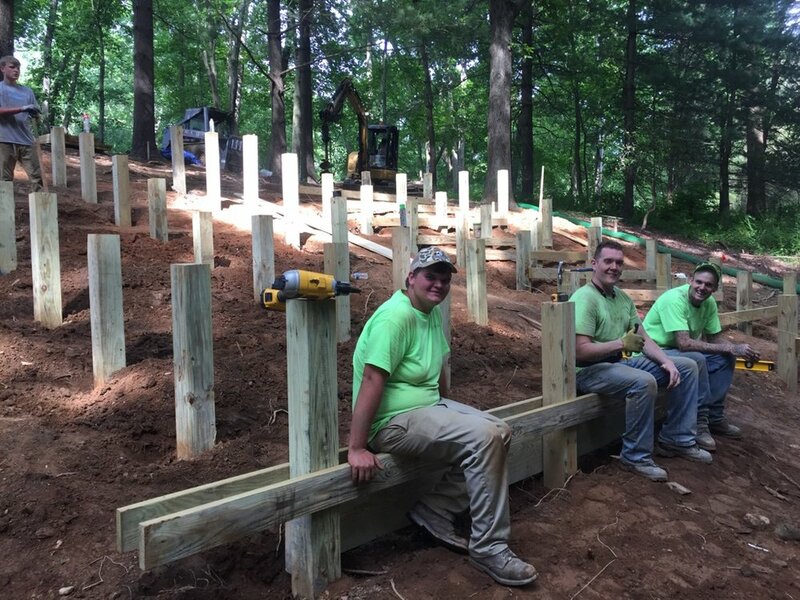 Day Camp Devotions Area - Completed! We are excited to reveal our newly renovated devotions area! 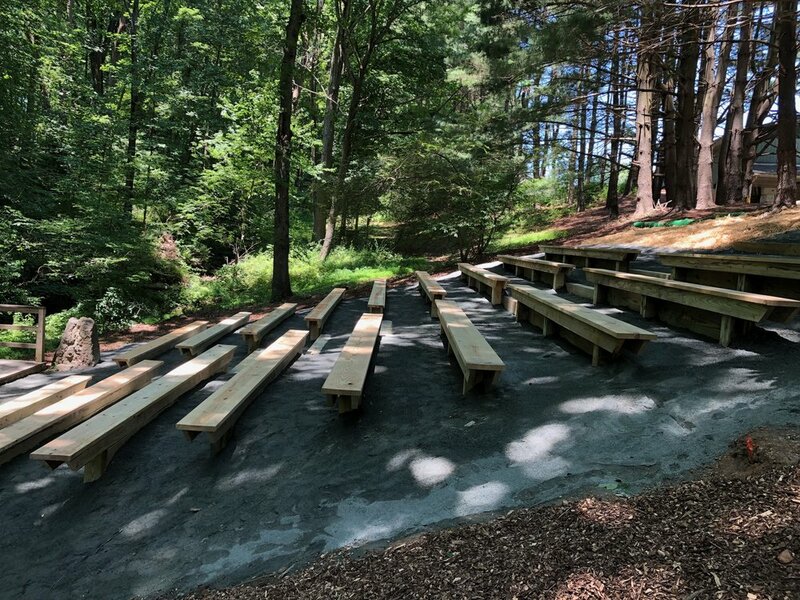 In an effort to keep our camp beautiful and safe, we contracted with Ivy Hill Land Services to give the devotions seating area a much needed facelift. 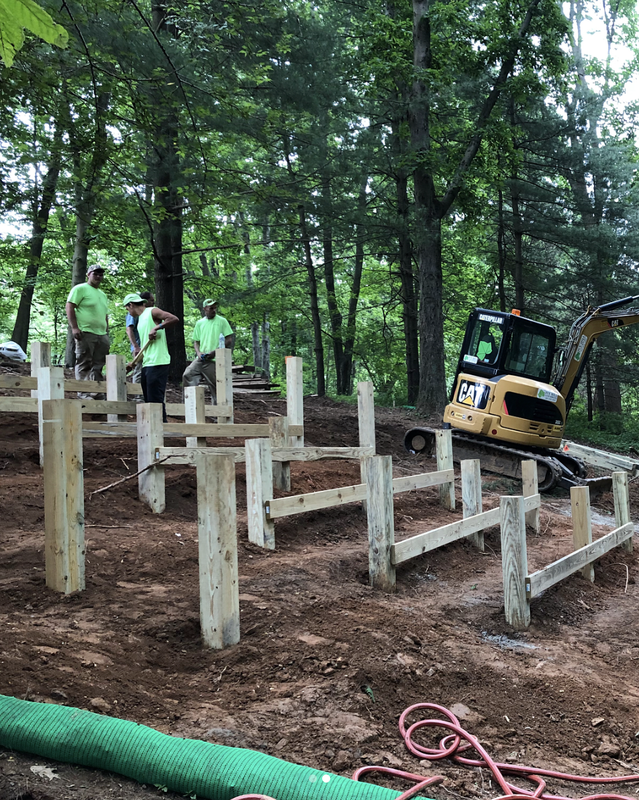 After serving decades of summer campers and other groups, many of the original benches were deteriorating to the point that we needed to replace them. 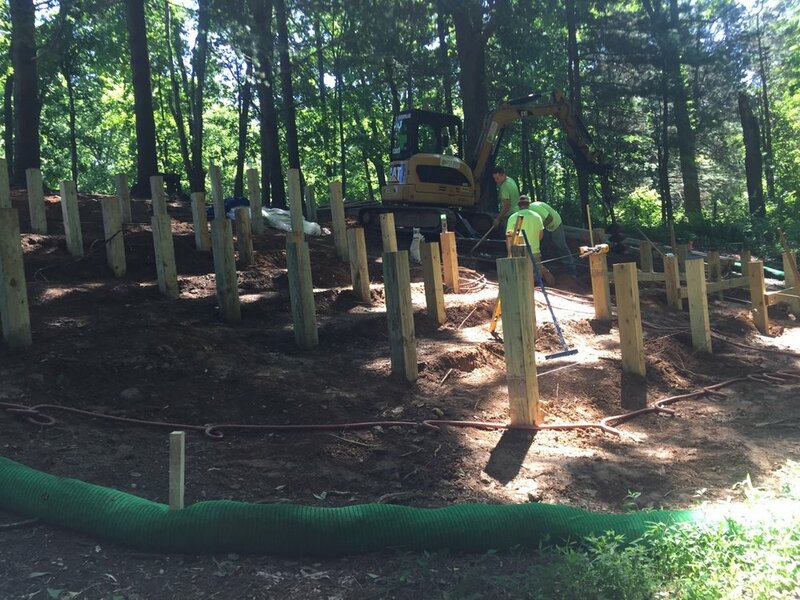 The new benches are secured in concrete and are elevated above ground, so they will remain in place for many years to come. We are thrilled with the result! 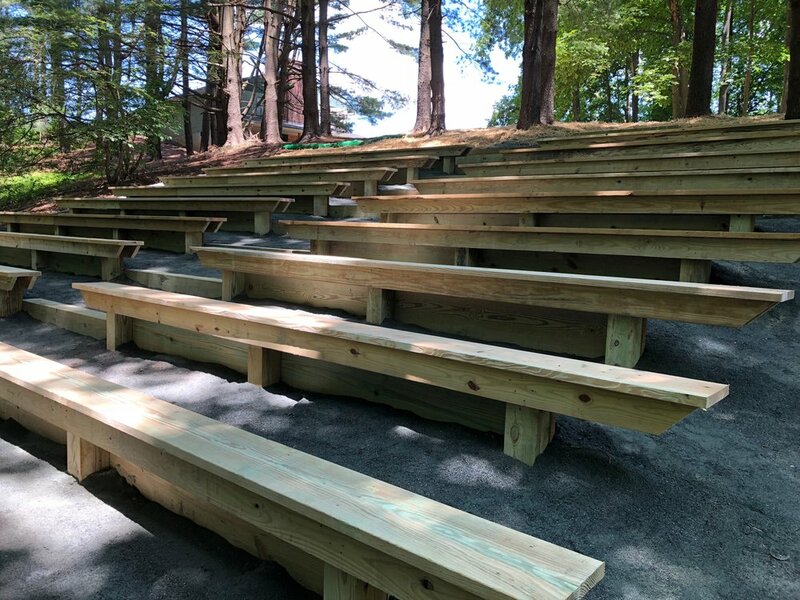 While we had to make some schedule adjustments over the last two weeks, we are extremely grateful to announce that the project is complete a few days early and ready for our campers to start using, immediately!